VI Equicare is the largest independent Preferred Provider Organization (PPO) in the United States Virgin Islands. Due to Hurricanes Irma and Maria, several providers have relocated office or have an alternate phone number. Please email or call VI Equicare for information. VI Equicare is the largest independent Preferred Provider Organization (PPO) in the United States Virgin Islands. Incorporated in 1997, VI Equicare membership includes the majority of primary care and specialty physicians as well as ancillary facilities and allied healthcare practitioners practicing in the islands of St. Croix, St. Thomas, and St. John. As a PPO, VI Equicare provides a single contracting authority for a wide range of medical and wellness initiatives for insurance carriers, employers, third party administrators, and the cruise line industry. Within our network of healthcare providers, VI Equicare performs a number of service and organizational functions including credentialing, education and information, quality assurance, and communication. Our commitment is to quality! VI Equicare strives to improve the deliverance of healthcare services in the US Virgin Islands. Healthcare practitioners who apply to become members of VI Equicare are credentialed and re-credentialed according to the strict national guidelines of the National Committee on Quality Assurance (NCQA). Insurance companies who seek to offer an in-network health insurance product are afforded the opportunity to negotiate fair and equitable contracts with discounted reimbursement rates and reasonable terms that comply with local regulations. Insured members who access our network of participating providers are assured acceptance of their in-network benefits while protected from balance billing, thereby guaranteeing them freedom of choice and affordability. Widely recognized and respected in the community for more than ten years as a leader in the building of healthcare provider networks, VI Equicare has provided experience and stability in the area of healthcare management in the US Virgin Islands. Healthcare providers, payers, and employers entering the US Virgin Islands are drawn to VI Equicare for ease of contracting and cost predictability, as well as exceptional service. Why contract with VI Equicare? 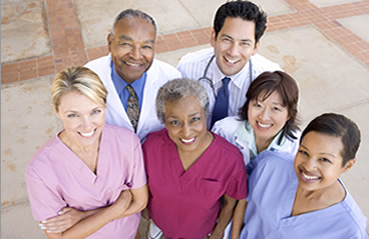 Extensive Healthcare Practitioner Network – Through our comprehensive network of primary care and specialty physicians, allied health providers, and clinics, health plan enrollees are sure to find a healthcare provider whose practice-style, training, and location are compatible. By giving a broad choice of providers and services at a reasonable cost, VI Equicare strives to keep both patients and payers satisfied with their health plans. For insurers, this large panel supports the ability to deliver varying plan designs, benefits, packages, and new products. Local Solutions for Local Needs – VI Equicare is sponsored by a network of local medical providers who put a familiar face on healthcare. In addition, the PPO is administered by people here in our community who have made a lifetime of specializing in the healthcare needs of the Territory. Strategic Partnership and Accountability – Our PPO was founded on the understanding that accessible, affordable, on-island health care will be available only when purchasers, payers, and providers take a partnership approach to building a viable healthcare delivery system. VI Equicare works with all our contracted partners to guarantee the insured residents of the US Virgin Islands have access to qualified healthcare providers. Accessing the VI Equicare network also assures the insured residents that health insurance benefits will be consistently applied. Providers, payers and the insured’s rights are protected by fair and reasonable contractual agreements, ensuring consistency, reliability, and quality service. A Proactive Approach to Healthcare – As a PPO committed to choice, VI Equicare is determined to facilitate the learning process that will help employees and all consumers view healthcare as the best means of bringing together the highest level of care for the most reasonable cost. The healthcare practitioners of VI Equicare offer a comprehensive range of preventive services. These clinical and informational services range from health screenings, well-child care, immunizations, and diagnostic health assessments to a commitment to in-office health education. Issues and problems that arise are quickly addressed and resolved on a local level, thereby creating a greater level of satisfaction and constancy. © 2008-2019 VI Equicare, all rights reserved.